In a week when Cardiff was privileged to host the National Eisteddfod,a Mass in Welsh was held at the Metropolitan Cathedral of St David, in Cardiff. 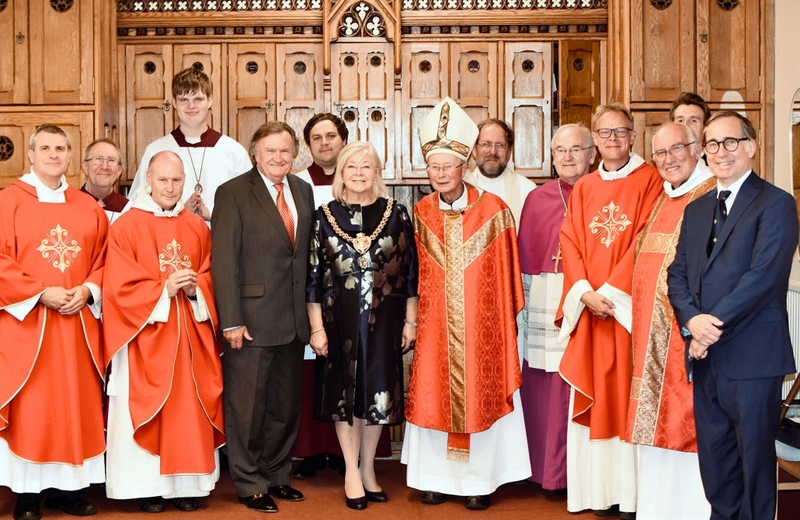 Bishop Edwin with the Lord Mayor of Cardiff, Councillor Dianne Elizabeth Rees and her consort, Archbishop George and the clergy who attended the Mass. The celebrant was Bishop Emeritus Edwin Regan, who welcomed all to the cathedral…except Archbishop George Stack. “I cannot welcome Archbishop George to his own cathedral,” said Bishop Regan, who added that he was privileged to have his colleague present at the Mass, as we all were. The singing from those present in the congregation underlined the power of the Welsh Musical tradition as the hymns, all the the language of Heaven, were sung robustly and, as bass singer myself, sung in parts from the congregation. I am only sorry, that as a Welsh learner, I cannot write this article in Welsh, but I can assure you, as editor of Catholic People our August edition will have full coverage of the Mass with an article in Welsh. The hymns, the readings, the homily and the leadership in the language from Bishop Edwin, were inspirational. Music was led by the Director of Music at the Cathedral Jeffrey Howard, who not only played the organ but, in Welsh led the responses…again inspirational! 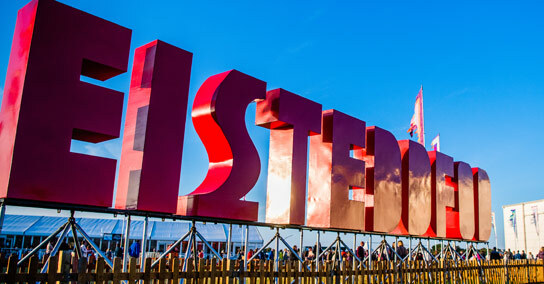 It was a marvellous occasion to honour the return of the National Eisteddfod to Cardiff. Gogoniant yn y goruchaf i Ddew!